We're almost due an announcement for the next instalment in the series, but our top FIFA 19 tips still ring true even at this late stage of the game's lifecycle. It's as popular as ever, with thousands of players duking it out in Ultimate Team every single day, but what about the newcomers? If you're only just picking up FIFA 19 for the first time, we've got some top FIFA 19 tips after playing the game since launch. From tactics and formations to new features and which skills to pay attention to, these FIFA 19 tips will help you get a footing in the beautiful game. Playing after the deployment of FIFA 19’s recent Title Update 7? It’s not only the most transformative FIFA 19 update yet, but the checks and balances also come with a big old nerf for Timed Finishing. Back in September, this was the poster boy for the new style of attacking, with a double press of the shoot button making you able to hit fierce shots from ridiculous angles and ranges, providing you timed the button presses correctly. However, EA has seen fit to dial it back, mindful of it being used by all and sundry whenever you got a pocket of space outside the box. Now, while Timed Finishing isn’t completely toothless, it isn’t a crutch that players can lean on when in need of a quick goal. Any sort of defensive pressure or chance of a player being off-balance will (more often than not) lead to a swiping effort that’s raked wide of goal. It’s not time to completely change up your game, but now is a good a time as any to switch things around in the final third. It can be frustrating losing multiple 50/50 aerial tussles against another player after a ball has been lofted up to you. But there’s a way to stack the deck in your favour. The oft-overlooked jostle button allows you to manually move around and get a better position for your target man/centre back/midfield destroyer. Simply hold L2/LT while the ball is in the air and you’ll be able to jostle for it and, hopefully, gain a better chance of winning the ball during an aerial duel. Make sure you time your movement so you’re the one, rather than your opponent, who is in the prime position to win the ball just as the ball drops. This can be especially effective when playing as a striker in Pro Clubs. If you need extra help in match-style situations, be sure to practice with the Silver Attacking Scenarios skill game. Another semi-secret button command, the ability to move your goalkeeper manually – especially in Pro Clubs – can be the difference between seeing the ball hit the back of the net and planting the seeds of doubt in a forward’s mind. To change your goalkeeper’s positioning, all you need to do is click the right stick in on your controller, then move the poor soul using that same stick. So, if you want to engage in a battle of mind games, you can start bringing your goalkeeper out early for corners, adjust his feet during crosses, and generally cause all sorts of mayhem. It’s worth giving this a go offline first, just in case things go a bit Champions-League-final-Loris-Karius on your early attempts. FIFA 19 has taken a leaf out of PES 2019’s book with Game Plans – and it dramatically changes how you approach (and, crucially, adapt) to each game. Before you even step out onto the pitch, you’re going to want to get waist-deep in the cacophony of choices available to you on the Team Management screen. Tap L2 and you can edit every single aspect of your game. Each flick of the d-pad in game – from Ultra Defensive to Ultra Attacking – can now be tweaked in intricate detail. Want to shut up shop when 1-0 up? Narrow the width of your team considerably and select Drop Back in the formations screen and set it to Defensive for use in-game. Voila. You have five plans for you to use at any time, no matter the situation. It can be tempting, to throw all of your hard-earned coins at snapping up some pacey players for your FUT team – especially if you’ve taken advantage of our FIFA 19 web app guide. But, praise be to the EA gods, pace is no longer the be all and end all. Instead, you’d do well to focus on how you want to play. The days of punting an aimless through-ball into the channels for a speedy winger to run on to are over, so scour the transfer market for more physical players with sleight-of-foot, especially as the Active Touch System now gives extra focus on those with better dribbling and physical stats than outright pass. That’s not to say pace is toothless this year – it just isn’t as effective as it used to be. EA has upped the ante this year when it comes to Live SBCs. The series of puzzles which tasks you with buying players to ‘match’ very specific requirements, often arrives in random flurries dotted throughout the week. It can hard to keep track, but doing so can pay off big time in the long run. FUT has also gone hard on seasonal SBCs and other live events. The Halloween Ultimate Scream and FIFA 19 Futmas events have been and gone, but there’s plenty more where that came from – especially if you want to make some serious coin in FIFA 19. Marquee Matchups, which sees several SBCs revolving around a big rivalry or crucial match from around the world, is the best way to make money fast. Instead of waiting for that week’s obvious rivalry (snapping up Arsenal and Tottenham players the Friday before they face off might not cut it), you should think further afield. South American rivalry matches, or even the likes of the Danish and Swiss leagues are well worth keeping an eye on weeks in advance. Buy players from big teams in those divisions for peanuts now and watch the money roll in come the week they face off. It’s not an exact science, and carries a big risk/reward warning with it, but you’ll eventually get the hang of it after a few tries. Plus, for a guaranteed profit, start stocking up on Irish players now for the inevitable St. Patrick’s Day event in March. You could wind up making millions in minutes if you play (and buy) your cards right. Want to get an edge in Ultimate Team? Buy a second basic gold squad. Now, you’ll never have to worry about fitness cards again. Place your first-team squad on the bench and reserves of your second squad and vice-versa. 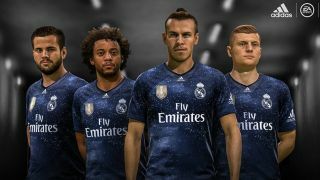 Then, alternate between playing online with your first XI and offline with the second-string squad, and you’ll find that no one’s fitness will ever drop. It’s the perfect foundation for you to build up coins without having to worry about taking morale- (and fitness)-sapping losses. Adjusting both your height and weight, as well as piling points into attribute upgrades, can make a big difference to your Pro Clubs pro, However there's a little-known optimum middle ground, one where you don’t miss out on pace and power. To find it, set your pro to 6 foot and 194 lbs. Unless you want to play as a small speedster or towering target man, doing so will strike the right balance between having enough pace to race out of the blocks, but also make your pro equally adept winning the ball in a 50/50 tussle. Weirdly, tweaking it any other way – smaller, lighter, heavier, or taller – can cause wild swings in attribute values. Pro Clubs skill points, which enable you to ‘buy’ boosts and traits for your pro, are easily spent – though it pays to put some thought into where exactly you want to put your points. There are several effectively worthless trait categories that should be swerved: they include most of the penalty and free kick accuracy trees, plus the volley category. These will build up naturally through gameplay and are too tied to match-specific situations to make them worthwhile. Instead, you’d do well to spend much of your early skill points into the Dribbling series of traits and trees. Upping your agility, dribbling, skill moves, and ball control means you’ll be a forced to be reckoned with in possession and, crucially, immediately in control upon receiving the ball. How does snapping up Kieran Trippier for under £30m, Diego Dalot for £8.4m, and Reece Oxford for a smidgen over £3m sound? Better yet, you won’t have to throw down the gauntlet in negotiations – these are all release clauses. In a new feature that’s tucked away in the Career Mode menus, you can now search players that have release clauses in their contracts. To do so, go to the Transfers menu, then Search Players. From there, head over to the Transfer Status tile and scroll through the options until you see Release Clause. You can then comb through the leagues and find yourselves some ludicrous bargains for a minimal amount of work. There may be plenty of action on the pitch, but you also should start paying close attention to what happens off it. EA’s Pitch Notes page is a resource which needs to be bookmarked and constantly referred back to. Why? Because you’ll be able to get a handle on the new buffs, nerfs, and other changes before anyone else – especially console players thanks to its staggered update release windows on Xbox One and PS4. The most recent update as of writing, for example, covers those significant changes to Timed Finishing – plus tweaks made to Pro Clubs and career mode, such as resolving a scheduling conflict which regularly affected the in-game FA Cup Final. Stick a pin in the Pitch Notes and keep coming back to them. They're an invaluable resource to help get minimal gains, and can be the difference between winning and losing. Looking for even more FIFA help? Then get the lowdown on FIFA 19 The Journey rewards and ending: what do you get for finishing each chapter?